The party and Cape Town’s mayor have reached a deal, which sees her stepping down at the end of October. The ruling party in the Western Cape, the DA, has given a press briefing in Cape Town about the resignation of the city’s mayor, Patricia de Lille. DA leader Mmusi Maimane has said she will stay on until October 31. “I am pleased to announce today that the DA and Patricia de Lille have reached a mutual agreement which resolves the question of the leadership of the DA government in Cape Town,” Maimane said. “This has been a long and difficult journey. This matter has already gone on for too long, and has sapped the energies and attentions of both parties from our core work, for which we apologise. “We were both desirous of finding a mutually agreeable resolution, and we have now done so. I am confident that this outcome is in the best interests of the people of Cape Town. “Patricia de Lille has agreed to resign the office of Mayor, effective 31 October 2018. “The DA has taken a decision to withdraw all internal disciplinary charges against Patricia de Lille. Maimane said that De Lille had, “for the most part” run the city “with distinction” since 2011. “The team she has led has achieved four clean audits and has helped the City of Cape Town to its pre-eminent position as the leading metro in South Africa. She has been a colleague, friend and loyal member of the DA for nearly a decade. She had earlier faced internal disciplinary action from the DA in relation to charges of, corruption, nepotism, mismanagement and abuse of power, which she vehemently denied. She demanded that her hearing be held publicly, so that she could clear her name. The DA has, however, withdrawn those charges as part of the deal. She will continue to be investigated by the City government, however. Her membership of the DA was also terminated earlier this year due to her having expressed her intention to leave the party. However, the high court found that she was booted from the party improperly. De Lille told the media briefing that now that the charges had been dropped, she felt vindicated, and could move on with her life. The next three months, she said, would be spent in handing over to the new mayor and completing her work on, particularly, delivering on the city’s housing targets for the poor and vulnerable. She said their budget was a “big pro-poor project”. She referred to Maimane as “leader”, and made it clear that the enmity between her and the DA is now apparently behind them. 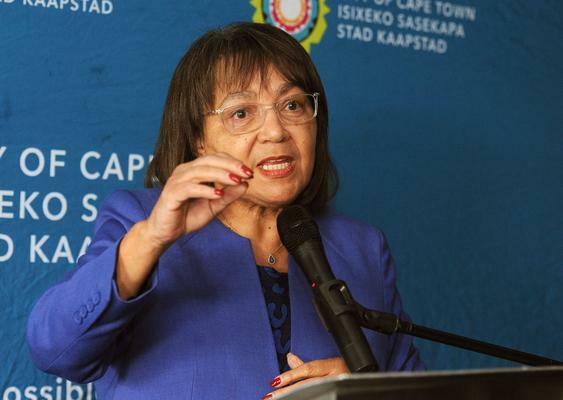 De Lille also underlined her commitment to the city’s integrated development plan, which she was confident the new mayor – whoever that will be – will also be bound by it. “We need to transform and integrate cities,” she said, saying that talking about “coloured, black, white and Indian areas” was no longer valid. She said the country was facing massive challenges, including poverty, unemployment and inequality and what South Africa needed was for leaders to put their differences aside to redress the past’s historical imbalances. She expressed her deep gratitude to her supporters in Cape Town and the rest of the country. “I am eternally grateful for that support. She also thanked Maimane and the DA for the opportunity to serve as the mayor for six years. She said she had, however, grown as a person in the period. In a statement later on Sunday, African National Congress Cape Town caucus leader Xolani Sotashe called the arrangement “illicit”. “The ANC has noted the illicit arrangement between mayor De Lille and the Democratic Alliance that opens a backdoor for a different mayor other than the one the people of Cape Town voted for,” he said. Watch a video of the announcement below.